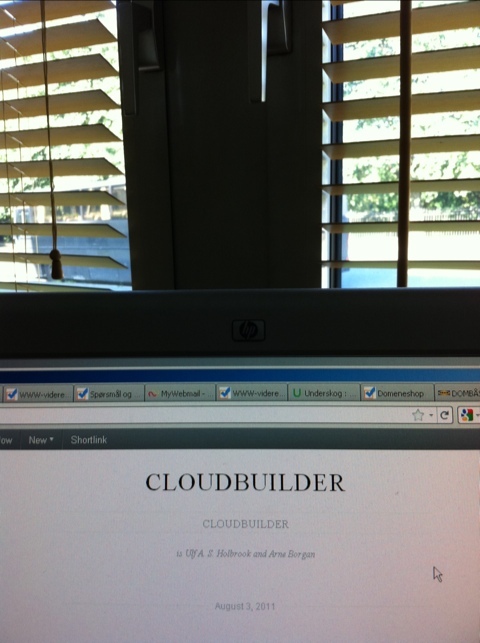 cloudbuilder | is Ulf A. S. Holbrook and Arne Borgan. Improvising live-electronics duo based in Oslo, Norway. #1. Betong Live recordings from Smalt som Faen ( Oslo).Recorded at Smalt som faen, Betong Oslo to Sound Devices 702. Oslo, 12.05.11. Available on CD and download on bandcamp. #2. Tape Recorded in Cloudbuilder studio to Tandberg Four Track Series 12. Oslo, 01.04.12. Available on CD and download on bandcamp. #3. Søndag (Akers Mekk, Oslo). Recorded at Søndagsbarn, Akers Mekk, Grünerløkka Oslo to Sound Devices 702. Oslo, 20.05.11. Available only as download on Bandcamp. Mastered by Christian Obermayer at Strype Audio, with design by Cloudbuilder’s Arne Borgan. The CDs are kr 100,- each and limited to 50 copies each. The digital download is €5 and will be available from the date of the concert. Bergen and Trondheim in 2010/2011. There are two editions of lowrider: One handmade book in a limited edition of 27 copies and the ordinary version of 300 copies. All selections recorded live at various venues. except playdate recorded to Zoom H2. No overdubs. Design and photo by Arne Borgan. Recorded and mastered by Ulf A. S. Holbrook. Special thanks to all the venues and organizers! Our homepage is finally up and running.